Orientation for the integrated Master in Professional Accounting (iMPA) Program was a full day of introductions, food, and BACKPACKS! 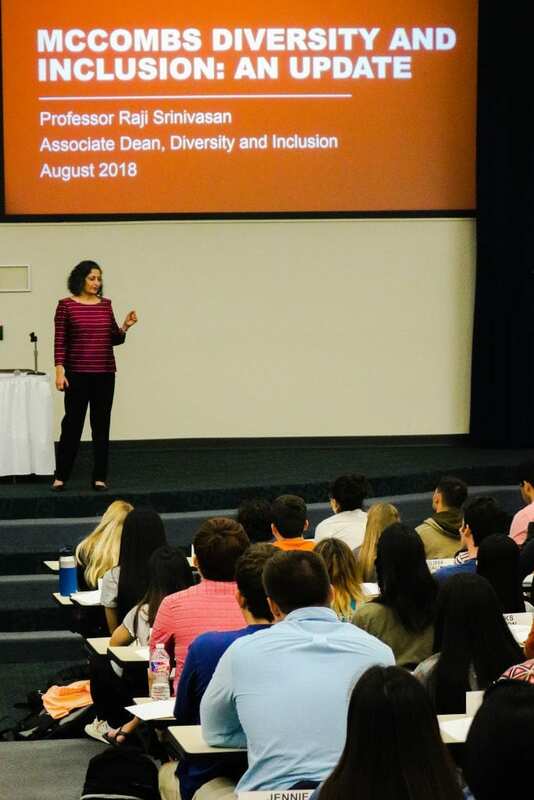 Over 220 incoming iMPA students arrived bright and early the morning of Tuesday, August 28 to kick-off their graduate accounting program journey. MPA t-shirts and backpacks were waiting at their seats when they arrived, and Steve Smith, Senior Director of the MPA Program, welcomed students while Jason Tasset, an MPA Academic Advisor, went through course curriculum. Steve Smith, Senior Director of the Master in Accounting Program, welcomes incoming iMPA students. Associate Dean of Diversity and Inclusion (D&I) Raji Srinivansan stopped by iMPA Orientation to talk about new D&I initiatives at Texas McCombs. 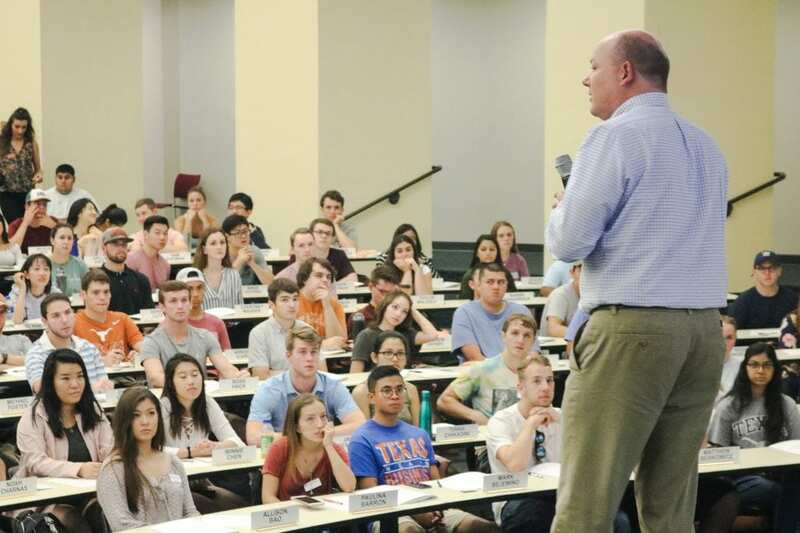 Current iMPA students provided opportunities to get involved in the Texas McCombs community while in the Program. MPAC, MPA Consulting Club, and Forensics Club all informed incoming students about their organizations and answered questions. We also had a panel of fifth year iMPA students join us to give their experiences with the Program, offer hints on the best classes to take, and provide insider info on networking and recruiting. 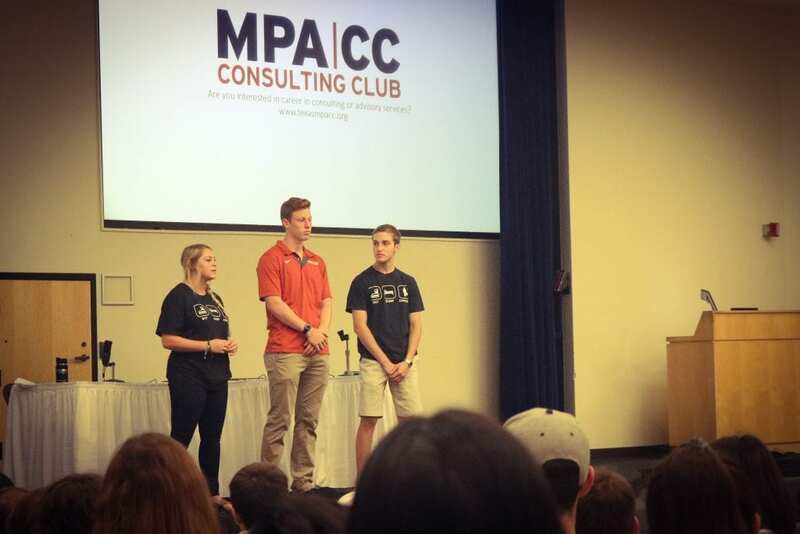 Members of the MPA Consulting Club introduced students to their student organization and answered questions. After the student panel, we took our class photo! Check out the incoming iMPA students below! Welcome to the Master in Professional Accounting Program, the top ranked graduate accounting program in the nation! Say hello to the our new iMPA incoming students! Welcome to the Texas McCombs MPA Program! Students then transitioned to the Hall of Honors in the Graduate School Building to enjoy lunch with the Accounting Faculty. Not only did students get a tasty meal, but they got more of their questions answered by sitting with over 15 of our esteemed Faculty members. 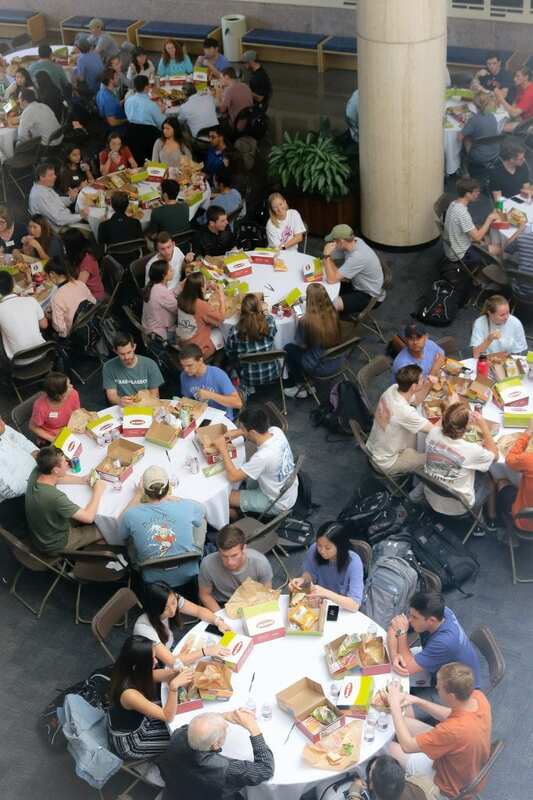 iMPA students enjoyed lunch with the Texas McCombs Accounting Faculty in the Hall of Honors. Aleks from the International Programs Office came by and offered a presentation into the Study Abroad Programs here at Texas McCombs. She even had three students who recently went on a Study Abroad trip stop by and share their experiences overseas. We had tons of students ask questions, and I think we’ll be seeing many MPAs take advantage of this amazing opportunity to travel abroad! iMPA Orientation concluded with an International Orientation presentation with David from MPA Career Services and Jason from MPA Academics. Oh, and did I mention Tiff’s Treats cookies were served? Yum! 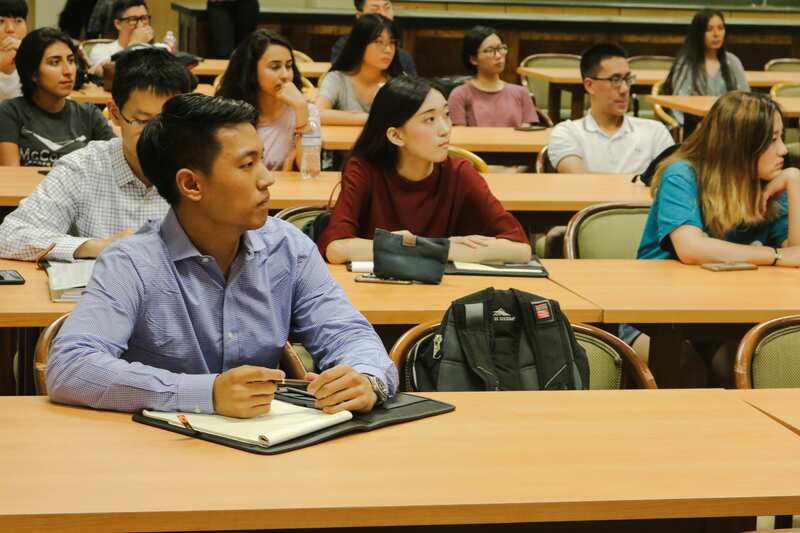 Students attended an information session in the Graduate School Building on campus. Congratulations on starting a new chapter within the MPA Program, and welcome back to campus! Hook ‘em!